The climbing-dogbane vine (Trachelospermum difforme) can easily be mistaken for Carolina jasmine (Gelsemium sempervirens) when out of bloom. 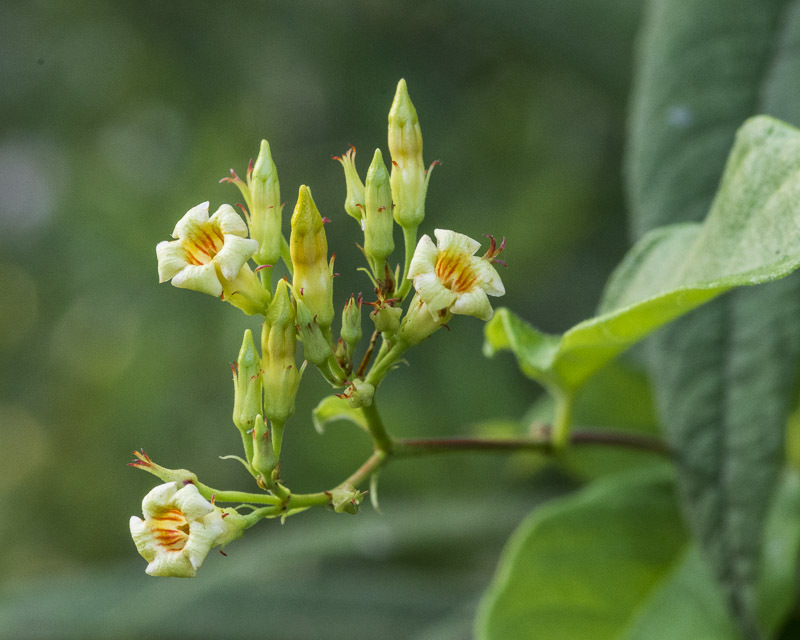 The opposite leaves on climbing-dogbane are similar, but slightly broader and not as thick, and have milky sap when compared to Carolina jasmine. This entry was posted in Native Plants, Vines, Wildflowers and tagged Apocynaceae, Climbing-dogbane, Trachelospermum, Trachelospermum difforme. Bookmark the permalink.